SBM designs and manufactures ad comprehensive line of concrete milling machines as mills, classifiers and related accessories for both wet and dry grinding systems. 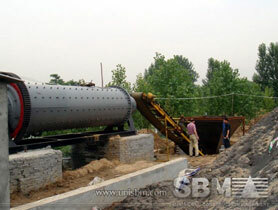 SBM concrete mill has been proven to be a versatile tool that exhibits advantages over traditional concrete milling. As the world-leading supplier of concrete milling machines, SBM offer our customers concrete milling solution that improve grinding efficiency, reduce downtime and lead to increased overall profitability. SBM concrete milling machines include trapezium grinding mill, coarse powder mill, high pressure grinding mill, vertical mill and ball milling machine. Concrete grinding plant is used for recycling of concrete waste. It is used as concrete pulverizer for breaking debrics, waste for concrete aggregate production. Concrete Cone crusher are also compression type machines with the concrete being compressed between two cone shaped plates. Concrete feed to a cone is typically 6" minus as they are used mostly as secondary crushers behind a Jaw or Impact Primary. Cones typically produce products of 1-1/2" minus. "We were already using SBM PE jaw crushers in concrete grinding process, so we researched screens and came up with a package deal. It was a natural fit."